ST. GEORGE – As a part of a continuing effort to spur the revitalization of the downtown area, the St George City Council approved a tax incentive plan aimed at bringing new development to the area. In a unanimous vote Thursday, members of the City Council approved the designation of a Community Development Area, commonly called a CDA, covering 45 acres located between 200 North, Tabernacle Street, 300 West and 200 South. The area is hoped to be the possible future site of mixed-use developments catering to commercial, office and residential use. Currently the taxes generated from the selected area are around $27 million but are starting to erode, said Jason Burningham of the financial consulting firm Lewis Young Robertson & Burningham. In order to combat the loss of revenue, city officials are hoping the newly approved CDA will help bring people and money back into the heart of the city. The tax-incentive plan projects $55 million in incremental tax-assessed value in 15 years to be brought by probable developments in the CDA. Tax increment financing, a common and popular tool municipalities employ to promote economic development within a specific zone, is being applied to the CDA. The increment includes property tax revenues that are generally collected by not only the City of St. George, but also other taxing entities, such as the Washington County School District and Washington County. Those entities will have to agree, through interlocal agreements, to allow monies that would go to them to remain within the CDA. Thus far, it appears they are on board with the idea. “I think they see the vision of this project,” Burningham said. Approved projects with the CDA would provide their property taxes are frozen in their first year. 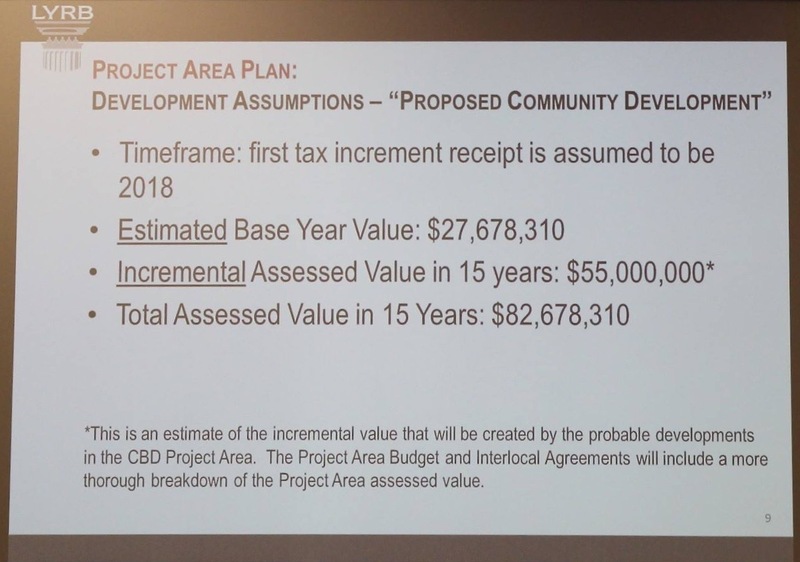 Property tax revenues generated in excess of the first year’s rate would go to the redevelopment agency overseeing the CDA, in this case the city. The monies directed to the agency would then be used for various infrastructure improvements. The types of projects that could benefit from the tax incentives would be multilevel, mixed-use developments like the proposed Joule Plaza: a 235,000-square foot project spread over 4 acres acres located at 200 West and Tabernacle Street. The Joule Plaza was projected to include three four-story buildings that would host commercial space on the bottom floor and up to 129 high-end residential apartments on the upper floors. The project was cleared to move forward last year but was curtailed due to construction costs being higher than expected. Randy Wilkinson, owner of the property Joule Plaza would be built on, said he was grateful the city was looking at creating a CDA, as it would help projects like his own and others. 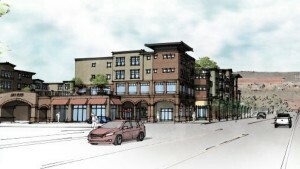 “There’s a good possibility the CDA can help the Joule project move forward,” Wilkinson said. City Manager Gary Esplin said the downtown needs projects like the Joule Plaza because the rising generation of millennials favor living and working in a city’s downtown area. It is millennials, particularly those who work in tech-based industries, city officials want to attract as the city’s tech base grows. The creation of the downtown CDA also continues the city’s efforts to keep the heart of the city alive and attractive to residents and businesses. 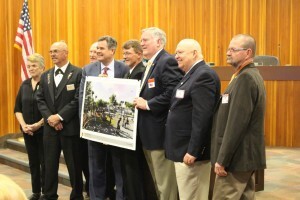 Other examples of these efforts include the creation of the Town Square, the renovation of the Electric Theater and the promotion of the downtown arts district. The city also approved the creation of a CDA in the Millcreek Industrial Park. Esplin said companies in the area have approached the city with a desire to expand their operations in St. George and the CDA is seen as a way to help accomplish that. The City Council recognized a delegation from the Elks Lodge. The Elks’ national president and grand exalted ruler, Ron Hicks, was visiting St. George for the day for the Utah Elks’ state convention. St. George Mayor Jon Pike also publicly thanked the Elks for their donations to the All Abilities Park, thus far accounted for $8,000 in donations.